We can host events of 15 to 720 people. 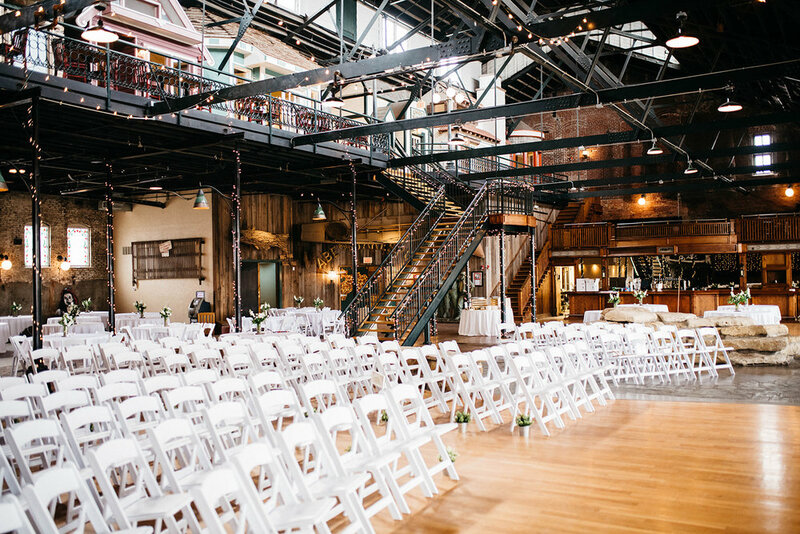 Rental of the Main Hall includes use of the Mid-Level Mezzanine and our large River Walk patio. Accommodates groups of 600+ people standing or 450 people seated. Featured at the back of our 14,000 square foot space overlooking the main banquet hall. Seats 50 - 60 people. Hosts a private bar, fireplace, and a small stage. The space can be used for small parties including birthday parties, rehearsal dinners, anniversary dinners, or small corporate functions. Seats 60 - 75 people. Beautifully designed room complete with full length mirrors and lounge area. 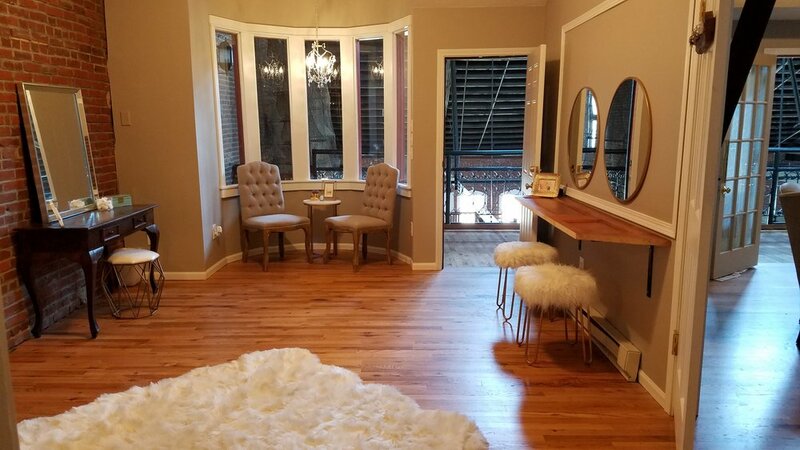 Perfect for getting ready before ceremony or rented for intimate gatherings. Room for 20. Complete with a flat screen T.V. and dart board. Perfect for relaxing before ceremonies. Can be rented separately for small gatherings and watch parties. Room for 20. The perfect space for Business Meetings, Conferences, Watch Parties, Bridal Showers and Baby Showers. Located on the balcony, overlooking the main hall below. Great for smaller events including baby showers, bridal showers and more. Seats 25 - 30 people.